Week 21 and the 31st day of August. How did it get to be the end of August? Were we not just wishing it was summer? Labor Day weekend, the last official summer vacation weekend. I wonder how many of you are at the beach right now? I have 2 friends that are there. I am not a beach person. I grew up on the coast but we were fishermen and farmers, we didn't have time to frolick at the beach. Plus, shock, I can't swim and don't like my head wet. LOL I know, crazy. I like the beach when there is no one there and I can liesurly walk, enjoy a cool breeze, the crashing of the waves, picking up seashells and just letting my mind go. Water has always had a calming affect on me. I love to just sit and look out over the water. I don't have to jump in, swim or surf about. Just sitting on the dock, on the bow of the boat or pier has always been therapy for me. Therapy I will get this week when I go to my coastal home town for a few days. AFTER the holiday when everyone else is back to work/school and the stresses of life, I'll be chillin'. So, if you are not on vacation and are sitting at home like me, take a few moments to relax, life is too hectic and too short. Link up a recipe or two or three , visit some hard working bloggers and see what you might want to add to your menu in the next week. Last week our TOP 3 and Host Favorite can be found HERE just in case you missed it. The end of the month and that means it is time for another reveal. Foodie Pen Pals reveal. That's right, another box from a reader this time. Wait, you don't know what I'm talking about?! Foodie Pen Pals is a program by Lindsay over at The Lean Green Bean. Readers AND Bloggers sign up and are paired with each other. Sign up by the 27th of the month, receive your partner on the 5th and mail a box no later than the 15th. Then on the 30/31 of the month you post about your box. Simple, fun and adventuresome. I received my box from Renee' in Alton, Illinois. A large bag of pecans, which I love! Honey in this cute little bear. Love honey. Some lemon tea, ya'll know I love lemon. A bag of Mexican spice, looking forward to using that for sure. And some delicious chocolates from a B & B, that melted but I put them in the fridge and ate them anyway. 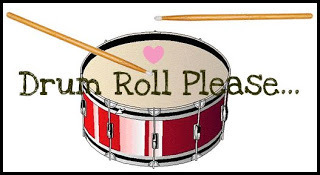 I had the priviledge of being a guest poster on August 22nd over at Sinea's page Ducks N A Row. If you are not familiar with it, I hope you'll pop over and say HI to her. The cutest page! 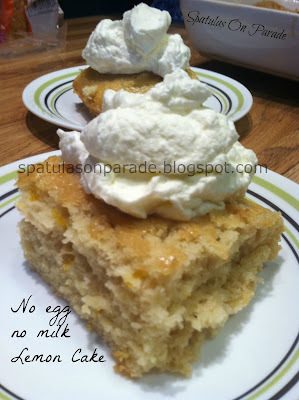 I shared my newest version of the Wacky Crazy No Egg cake, Lemon. You know it, one of my favorite flavors. With all of that, you need an easy go to cake. 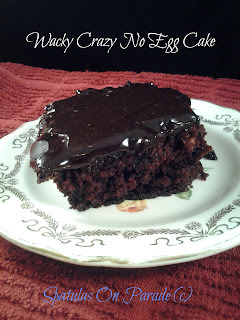 No fuss, no muss, haven't been to the store, kind of a cake. AND I have just the one for you! This is my go to cake. Simple, easy and I can make it in less than 45 minutes, start to finish. No bowls, one pan and doesn't make a huge amount. Plus you don't need eggs or milk or butter. How great is that? I bake mine in a 9 inch square baking dish. It takes 35 minutes to bake and you can top it with ice cream when it's hot, homemade whipped topping or let it cool and ice it. Endless possibilities with this mix. Here are a few of my previous ones. As you can tell I like chocolate, lemon and mango. Combine these ingredients well in a 9 inch baking dish, I used a square one. Flatten out the mix and make 3 wells. In the large well add 5 TBSP oil. Now pour 1 cup of water over the entire mix and stir well. Only until combined well but not over mixing. I know you may think it's crazy, a casserole in this heat? Yes, we had a fall like day, pouring rain and I wanted something 'comfy'. 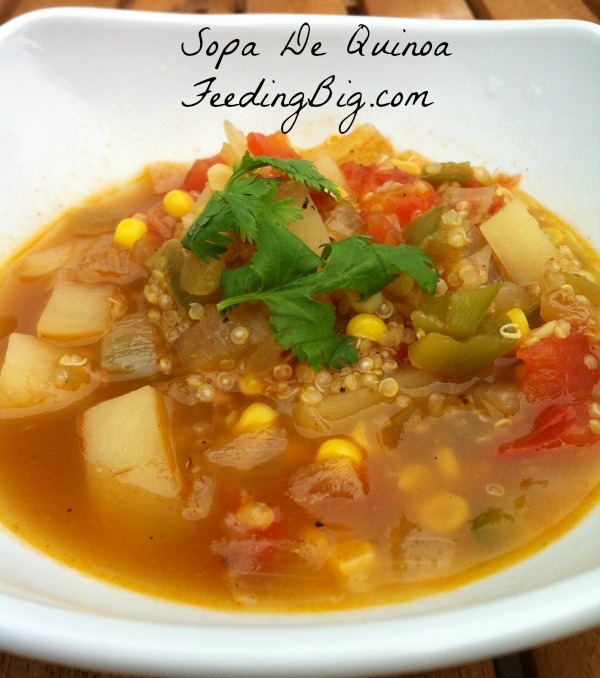 This is not my normal recipe as I used a can of soup in this, rarely if ever do I do that these days. We are eating much healthier and more "real" food. However, I did in this recipe. 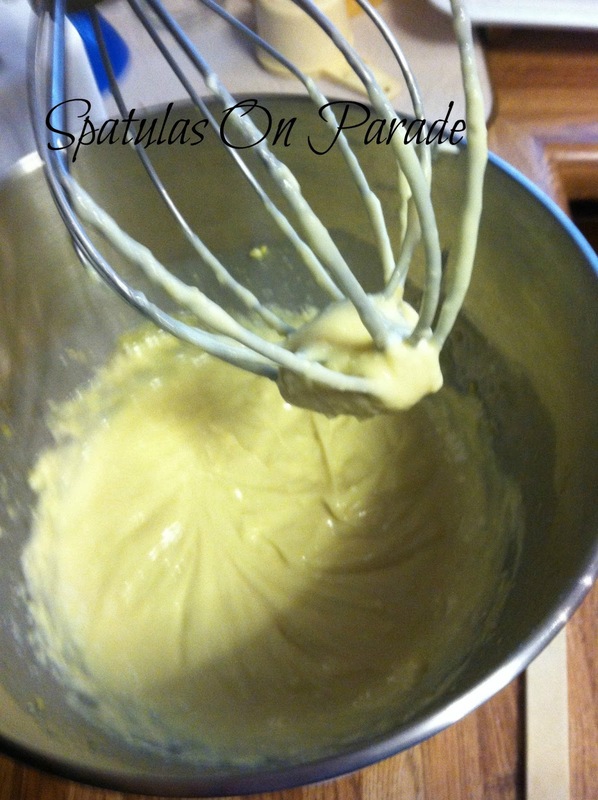 You can create your own cheese sauce if you like. 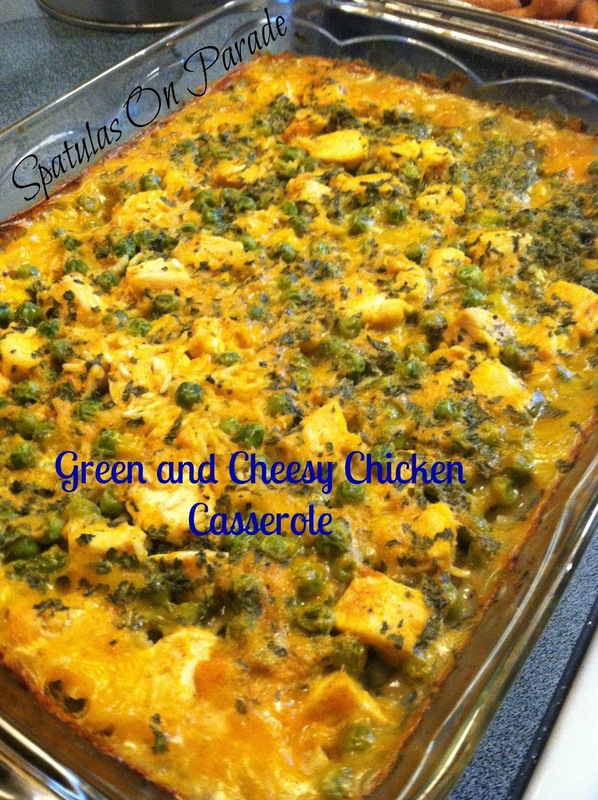 My husband who for some reason is not a big fan of cheese LOVED this casserole. I was a little worried when I stuck it in the oven. I thought, now why did I do this, but thankfully he really enjoyed it. 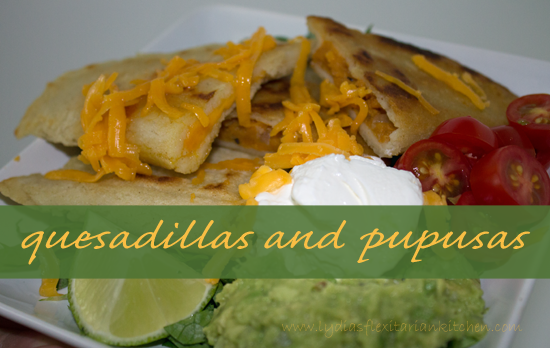 Since it is just the two of us these days, I knew this recipe would leave plenty of leftovers for several lunches. Which it did. This would easily serve 6-8 people if you had bread and a salad. For us, he is a big 'manly' eater, it made 6 servings. This is also budget friendly. I buy a big bag of the frozen chicken tenders for less than $6 and I can cook from this bag 3-5 times depending on what I fix. The bag of peas was 99 cent and I only used 1/2 cup. So I still have 2 1/2 cups to use. The can of soup was $1.19. I had the spices on hand and the rice. So you're looking at a $3 meal plus sides, that will make 6 servings. Yeah, that fits my budget greatly. 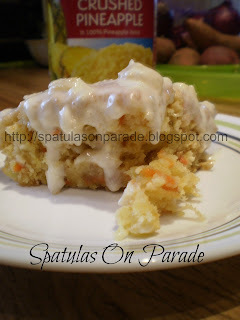 Dice the chicken and stir all the ingredients into a 13 x 9 baking dish. Slide in a preheated oven. Bake at 400 for 30 minutes, reduce heat to 350 for another 15 minutes. Allow the liquid to cook out and the rice to be tender. Serve with a salad and bread, I did anyway. Oh how I love it when I have an idea, a 'different' idea and it turns out so well. When my husband ate this, he said, "I have no idea what I'm eating (meaning the vinaigrette) but it is so good, restaurant quality. What is it?" Have you seen FoodRush? I watch it on LWN, if I happen to be surfing and see it on. Not like I have a timer set. Too much to do to sit around and watch cooking shows. Anyway, they had a bacon vinaigrette one day and it got me to thinking. My husband has found recently that he likes kale. I have been using it a lot. So I thought what could I fix as a dressing over wilted kale, other than his hot pepper sauce. Bacon and onions are always a hit, now what if I added Dijon to it, oh yes I was on to something. It may not be a gorgeous dish in the photo but it really was pretty but even better was the taste. Cook the onion in the oil, when the onion is almost translucent add the bacon. Stir well, reduce heat to a simmer and add the remaining ingredients. Allow this to simmer while you cook the chicken and the liquid reduces by 1/2 or more. Saute chicken in a little olive oil with fresh pepper. 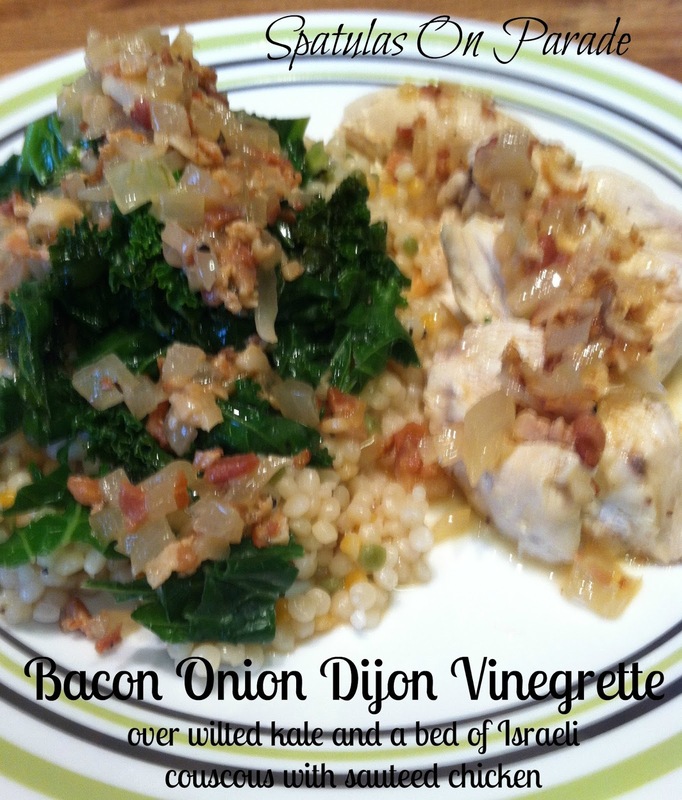 Slice and serve the vinaigrette over the chicken and wilted kale. To wilt the kale, place several cups in a pan with a few tablespoons of water, cover and allow the steam to 'wilt' the kale. Remove and serve. You can wilt or saute the kale as much or as little as you like. I served the wilted kale over a bed of Israeli tricolor couscous. Delicious! 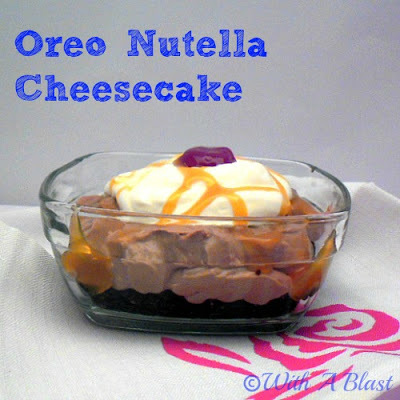 This is the quick, no bake, no fuss dessert that I served with my Asian inspired steak. That night was a fast, easy night. It was extremely hot and we had had a busy day. I was tired and not in the mood to stand in the heat of a kitchen for long. The meal took me less than 20 minutes to prepare and the dessert about the same. I prepared the dessert, set it in the fridge and then went on to cook. 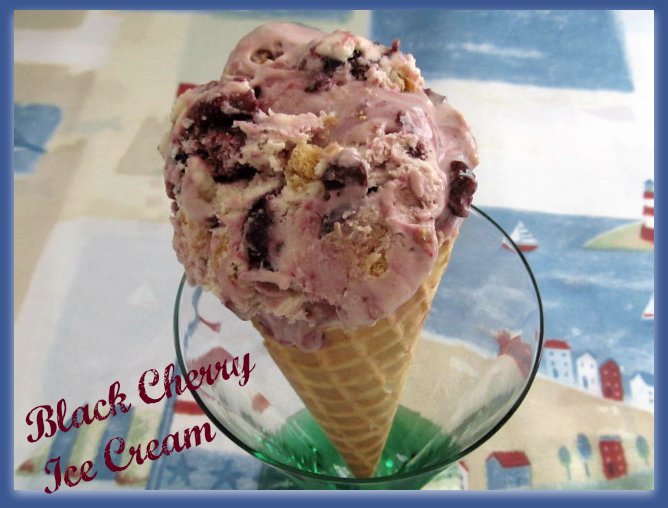 By the time dinner was over and we had rested some, we had a nice cold dessert to enjoy. I hid a little surprise in the middle of the parfait that you can omit if you want. It really made it OVER the top. Which I enjoy, but if you don't have the item and don't want it, don't add it. You could hide something else in the center. Prepare pudding according to package, except use less milk. Now layer in your parfait glass or whatever type of serving dish. 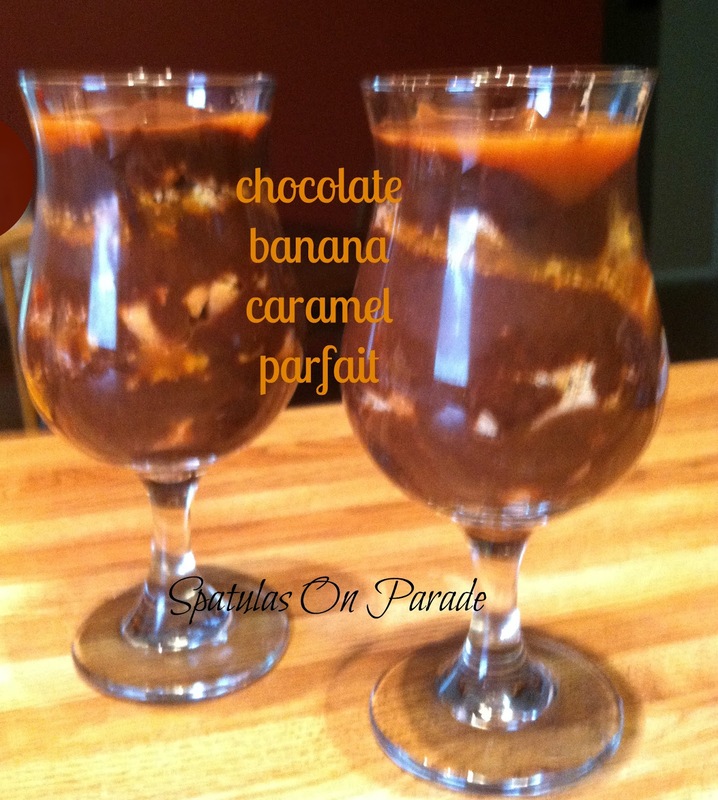 Pudding, crushed wafers, banana slices, caramel, repeat, add frosting, repeat layers until you run out. 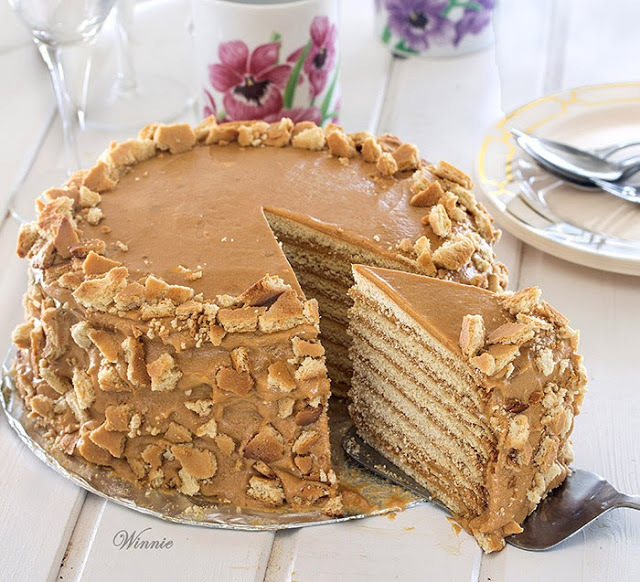 Top with caramel. Store in the fridge until set, 1-2 hours is best. 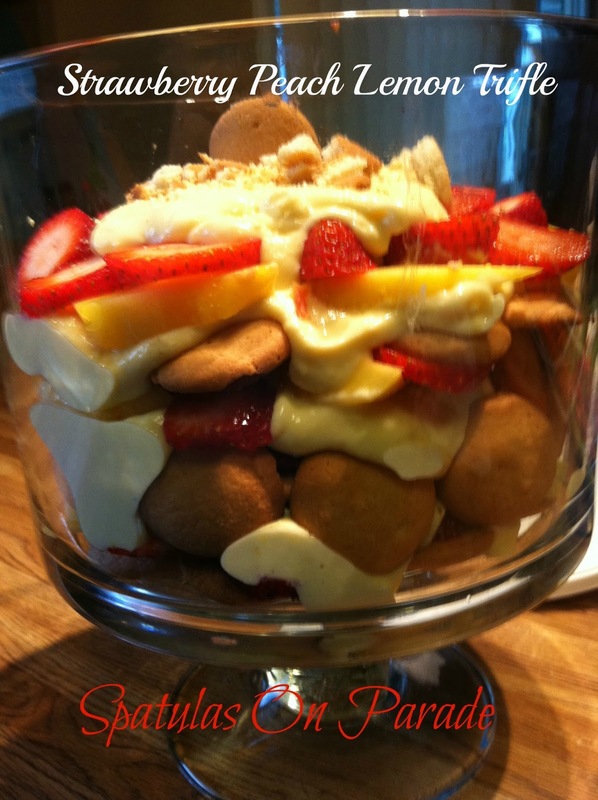 If you like this, you might also enjoy the lighter fruitier Larger trifle! Goodness gracious, the end of August! Wow, I know I say it a lot but seriously, time flies. What have you been up to all summer? Vacation? Resting? Working? Family/friends visiting you? Me? Nothing much since June. Our youngest son got married and moved to TX. He is in the USAF. Other than that, work, blog, garden, stay afloat. Yes, afloat. We have been swamped with rain. Yesterday was like Christmas for me. My husband and I went to the state farmers market. OH MAN! SO much to look at and do. Overload for my brain. You will be reading a lot about it in the weeks to come as I whip up new recipes with all the new vegetables we purchased. I'm so excited. Hope you are too. REMEMBER ladies, grab a button if you don't have it already. It is on the right side bar. This is a great recipe from Linda at With a Blast. She lives in Johannesburg, Gauteng, South Africa. You should really check out her blog. Also from Linda. You guys were showing her lots of love this weekend. Anglea from My Personal Accent shared this great DIY. She also host the Strut Your Stuff blog hop that I co hosted a few weeks ago. Not trying to pick favorites, but that is the name of this post, favorites. LOL I saw lots that I liked and a few I loved, but honestly this week I had to go with my pal Cynthia and her new soup. It just looks so rich and yummy I could not help myself. I love steak, my husband is not a big fan (shock I know) mainly because he has problems with his back teeth and says it is too hard to chew. I don't eat it often, but every now and again, more so lately, I crave steak. It is just not in our budget to go out and eat steak right now or even buy 2 big juicy steaks for the grill. My solution? A chuck sirloin tip steak from my local butcher. One cost me less than $3 and it was plenty for the two of us. How you ask, because I marinaded it, sliced it thin, added peppers and onions. This along with a rice vermicelli side dish and a big salad. Followed by dessert of course. This is a very frugal meal. Main dish, two sides cost me $3 per person. I can not go to a nice sit down restaurant and eat for that. Plus, the whole cooking process took 15-20 minutes. You could prepare the steak marinade the night before, come home and be eating in less than 30 minutes. How great is that? 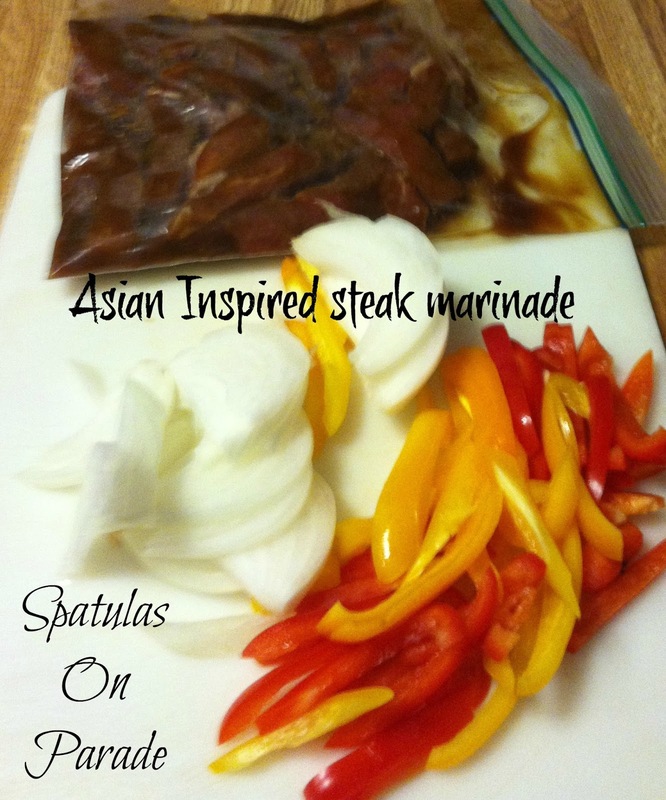 This marinade is simple, easy and can be double if you are fixing more than one like I did. I mean, come on, look at this! Fabulous and oh so yummy. Great "man" food and it was very tender. He really enjoyed my "stir fry". That's what he called it. 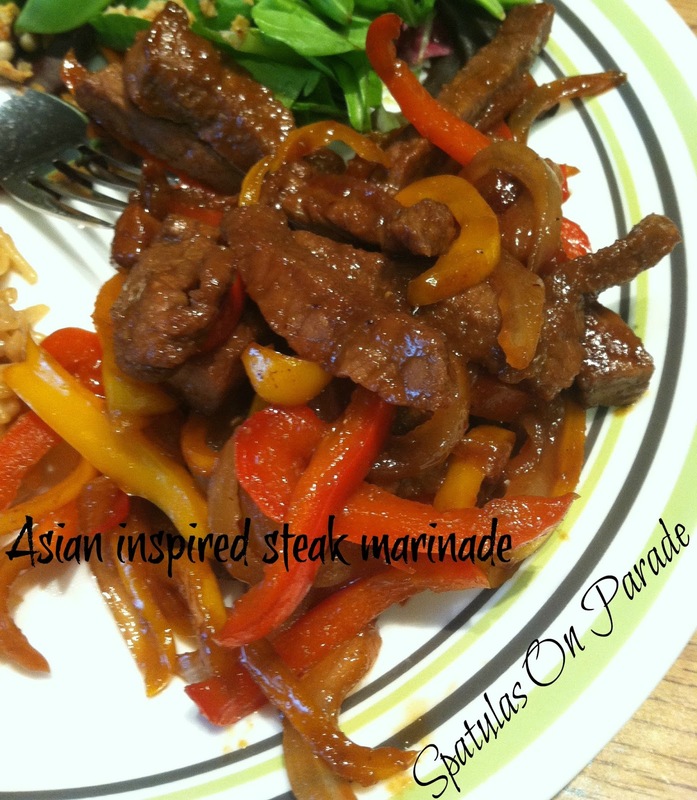 Or a new take on pepper steak. Mix the marinade well in a zip top bag. Slice your steak and place in the bag. Keep in the fridge for at least 4 hours no more than 24. When you're ready, allow the meat to come to room temperature. Toss in a skillet with 2 tsp of oil. Saute until almost done, add in the remaining marinade, peppers and onions. Stir until the liquid disappears/reduces and thickens/caramelizes. What's shaking folks? Ready for another week of Swap N Share Sunday? It has been a rough week, but that seems to be the norm lately. However, it's all good. How can I say it's all good? Easy. God is in control. He always has been always will be. What doesn't kill ya makes ya stronger. Isn't that what Kelly Clarkson sings? I agree. Did you see last week's TOP 3? No. Well, click TOP 3 and you can see them. Ya'll really make me drool. When they come out with smellavision or smella.www I'll be in big trouble. Welcome to the August addition to "A Fly On The Wall" group post. Today there are 15 bloggers participating. You will find the links below. What is it about you ask? 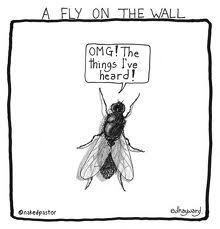 Well, what you would see or hear if you were a fly on the wall in or around our homes. Buzz around, see what you think and visit the others. Why do we say such odd things? Child is acting up and mother says "If you don't stop I'm gonna slap you silly"
well, duh he was already acting silly?!?! Southern Sayings: she's so ugly she'd make a freight train take a dirt road. Dang it's hot, I'm sweating like a pig. WHEN have you ever seen dogs and cats fall from the clouds? Yeah I get that one. Oh fine, just thought I'd visit and throw away money. I'm sick you fool! sheez and he's the one with the big fancy degree. In my yard, with the dog, mail man pulls up. Nah, just thought I'd walk him around. Seriously, I live out in the middle of nowhere, yes it's my dog. Husband walks in, I'm editing pictures and he looks at the computer and promptly asks me: What ya doing? I just look at him. Really? And reply "building a microwave"
Sitting in the living room, talking to my husband. I ask him a question and he goes "huh?" then answers me. ?? The house phone rings, it is a friend. She says "hey, are you at home?" I laughed and said "well, considering I answered the house phone, I'd say yes." In a mixing bowl, combine the cream cheese and milk. After it has blended well, add your pudding mix. Wash, peel and slice your fruit. 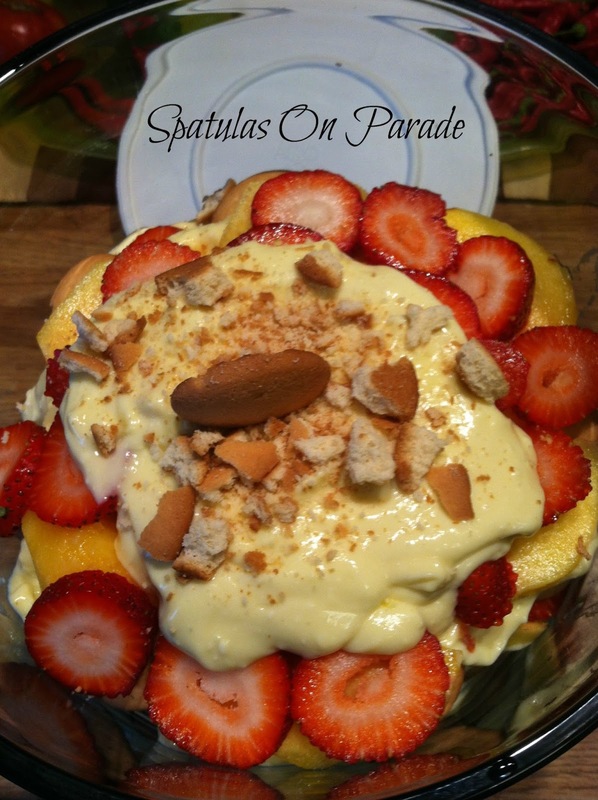 In a bowl, layer, cream/pudding mix, strawberries, peaches, wafers, cream/pudding mix and continue until you run out. Top with the remaining cream/pudding mix. Growing up, the only can vegetables my mom would buy was Green Giant. So I am not stranger to their products. When I learned they were now carrying snack foods, this was exciting to me. Why, because I love chips, tortilla chips or potato chips either one, however, I try not to buy them. So when I was given the opportunity to try these Green Giant Multigrain Veggie Chips I was thrilled. It was so hard when they arrived to not tear into the bag right that minute, but it was supper time. Guess what, we did it anyway! We could not wait. Let me tell you, we were not disappointed. Just look at these chips! Multi-grain full of goodness. I love the Sweet potato barbecue At first I thought it an odd combo, but then remembered how much I love sweet potatoes baked, fried, or stuffed and thought mmm these WILL be good, and good does not describe them. I enjoyed them as a snack and then the next day with my lunch. A big salad. These chips have vegetables, multi grain, protein and fiber but are full of #GiantFlavor. I also enjoyed the Ranch variety but really preferred the sweet potato. Both were good but the sweet potato satisfied the "southern" in me. 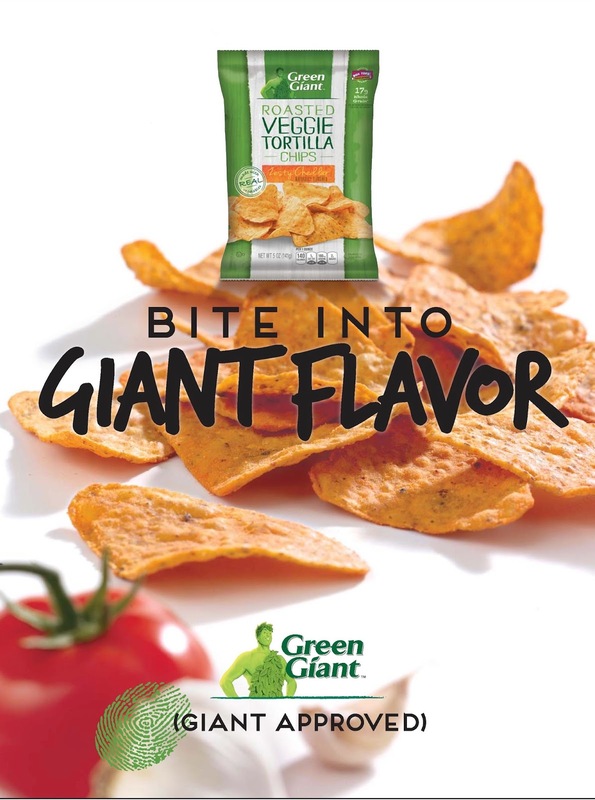 So when you are out and about doing your shopping and see these Green Giant Veggie Chips on the shelf, grab a bag or two. You won't be sorry and you won't feel as guilty eating chips either. You may not have noticed, but I'm trying to lighten my load. Literally. I am fixing more salads, lighter meals, healthy breakfast and lunches. No I am not giving up my desserts, that is why I have to lighten everywhere else. I came to a very shocking discovery, in the last year, since I started blogging. I have gained 20 lbs. OMGosh yes, 20! NOT cool. I would love to blame it on my healthy, which is not good, but to be honest it is most likely my eating habits and lack of movement. The lack of movement I can blame on my health but my eating, well that's just because I enjoy it. I have been on the lookout for easy healthy recipes that my husband will enjoy without complaint. Also creating foods that are lower in calories and fat. To which he has not caught on. Oh crap, I did forget however that from time to time he reads my blog. Here is a salad I made this past week that he really enjoyed, so did I. I found a similar salad in a (1996) Betty Crocker cookbook and changed it around to suit me. Here is my version. 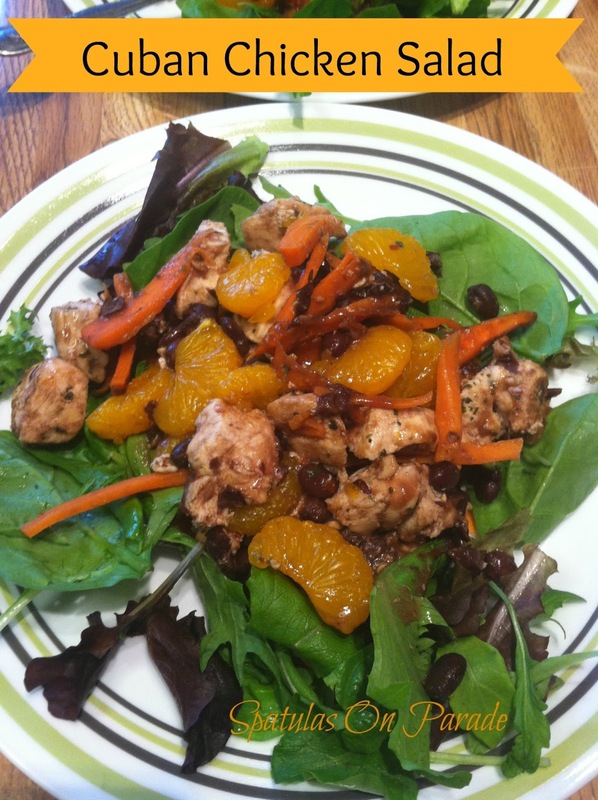 (this is not your 'ordinary' chicken salad. Cook your diced chicken with the juice of the oranges,vinegar and spices. Once it is done, add in the remaining ingredients except for the salad. Heat through. Be careful not to stir to often or the beans breakdown. Allow the mix to cool slightly and serve over greens. 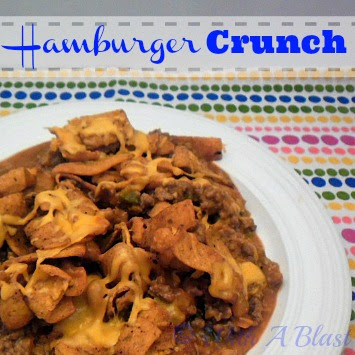 **If you wanted, this could be made without the chicken as a vegetarian meal. 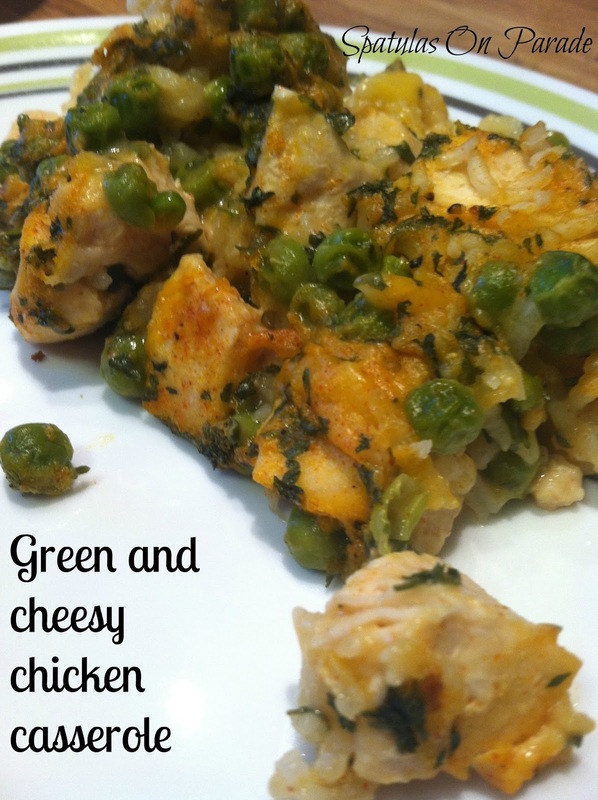 It is full of protein, low carb, low fat and filling. It rained all weekend and Monday too. How about where you are? It was a great weekend to stay inside and browse all the great recipes linked up. Catch up on my Netflix and read a book. While watching the news I saw all the wild fires in the Western portion of our country. My heart breaks for the thousands who have lost their homes and the ones who were evacuated not knowing if they will have a home to come back to. With all of this, I am thankful for the rain. I don't like it, there is flooding everywhere but not devastating. I guess what I'm saying is, we can and should all be thankful. I pray none of you are in those areas of devastation and that you friends and family are safe. Now back to the matter of TOP 3. CHOSEN by the viewers. The blog is written in Hebrew so you'll have to hit the translate button, but it is worth it. Winnie has fabulous cakes. 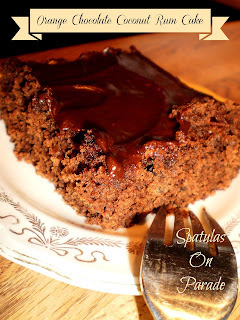 Lydia has a great blog with great recipes. 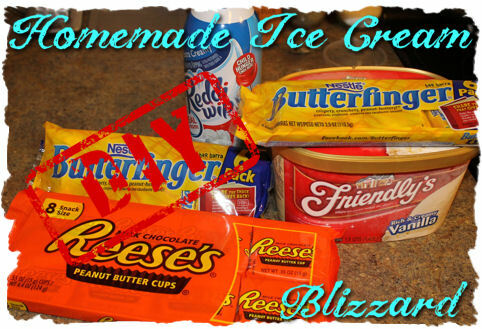 These are homemade so if you always wanted to try your hand, check out her instructions. Very helpful. I love this recipe. It is really simple and you don't need a machine to fix it. HOST favorite, even though I don't drink. 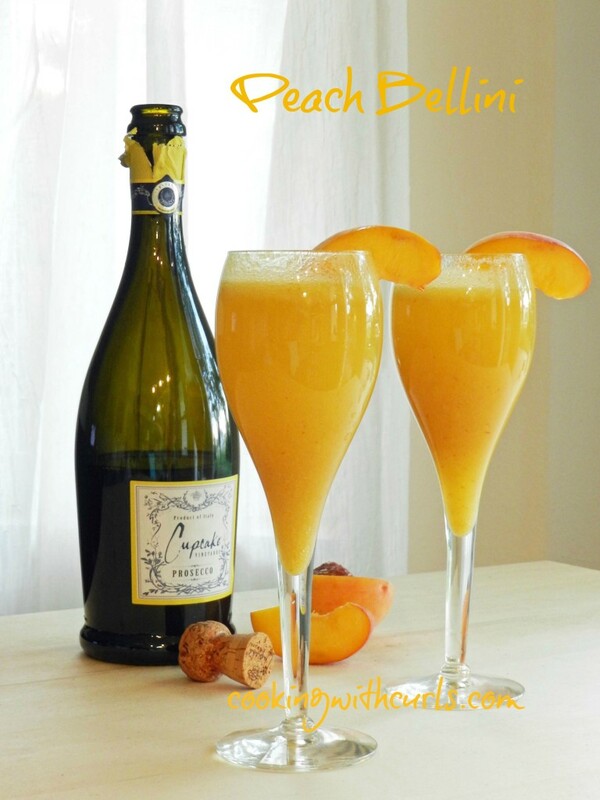 Lisa's recipe sounds so good plus you'll see her peach napolean while you're there.